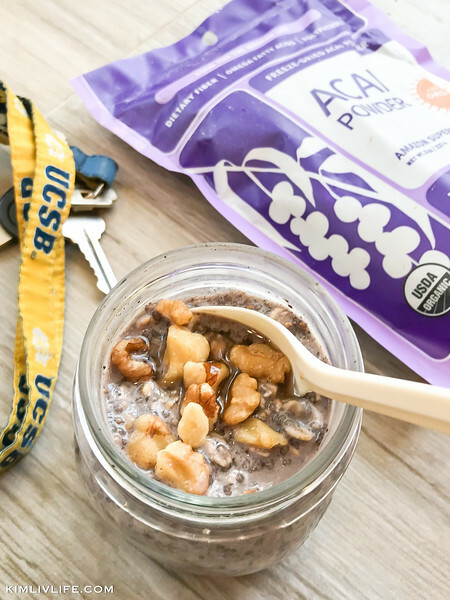 Filled with fiber from the oats, chia and acai, these oats fill your belly and bring superfood nutrients along with them. Liv found the Quattro 8.5 oz jars to be the perfect size for her mornings - we found them on Amazon, but they are also sold at the Container Store. Liv actually doesn't measure anymore - find a texture that makes you happiest and stick with that. 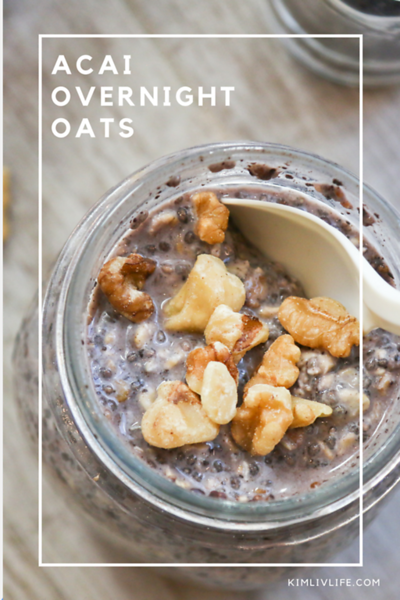 Experiment with slightly more or less oats or chia for a thicker or thinner blend. 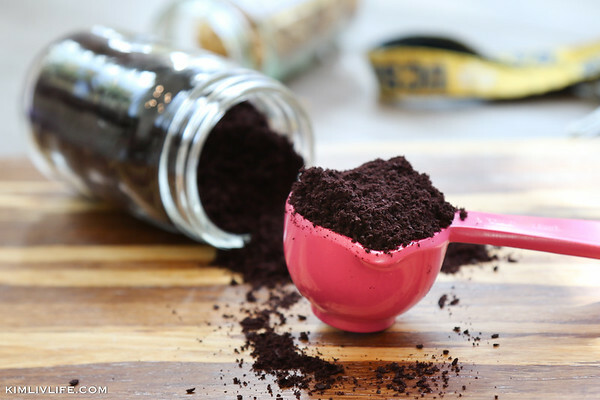 Place dry ingredients (oats, chia and acai) into jar. Cover with the cap and shake to combine. Add Almond milk and maple syrup, stir to distribute evenly. Place in the refrigerator overnight. In the morning remove from fridge and add a dash more milk and an additional drizzle of syrup if desired. Top with chopped walnuts or banana. Liv Life Note: The above post contains Amazon Affiliate Links - as you know we receive a small (very small ;) stipend if you should purchase through this link. We thank you!